Happy New Year to you and yours from Nicholas and Buddy Bacon! We wish you peace, good health and prosperity in 2018! Well I don’t know about you but I sure did love my turkey dinner on Christmas Day! Papa says he’s sick to death of turkey (we had leftovers Boxing Day) but Nicholas and I don’t understand, who could possibly ever get sick of turkey? I’m sure we could eat it morning, noon and night! I think Mama cooks the best turkey, a Butterball of course. She does it the way her parents did, very slow at low temperature, going into the oven at midnight Christmas Eve and cooking all night long! When we woke up Christmas morning you could smell the turkey all through the house. It was so moist and tender the meat just fell off the bones! Our naturopathic vet says turkey is the very best thing we can eat especially since I have a wee bit of arthritis in my back knees. Says it will keep me healthy, my bones and joints strong. He says that I can never have one speck of chicken, that chicken meat inflames the joints when you have arthritis and no pain killer in the world can over come it. (Nicholas of course can have chicken or whatever he wants as he’s healthy as a horse! No arthritis in the little buddy!) I haven’t had a crumb of chicken in a year and a half and it must work as you’d never know I have any problems. I don’t even get chicken in a dog treat. Mama reads all the ingredients carefully so my treats are usually cheese, beef or bacon flavoured. I love the ‘Buddy Biscuits’ brand, bacon flavoured of course! 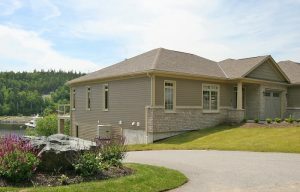 In January we’ll be resuming our open house schedule with different stunning listings being open to the public each weekend. We have some exciting new listings coming on the market in the New Year. Stay tuned and I’ll keep you posted on the latest and the greatest. 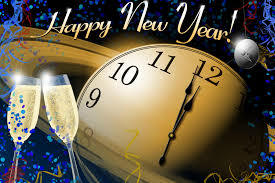 Haven an enjoyable New Years. Nicholas and I are staying low key this year, going to watch them drop the ball in Time Square on TV. Have a great time and drive carefully! Well the big day is almost upon us. Nicholas and I are so excited we can hardly contain ourselves! We think every parcels that comes into the house must be for us and quickly stick our noses in the bags checking things out until Mama catches us and shoos us away. 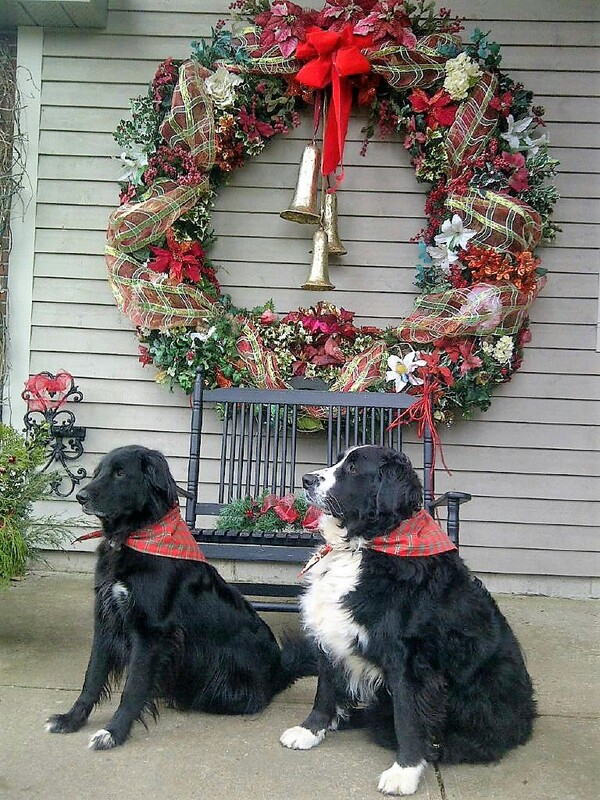 We’ve tried really hard to be good boys most of the time and are hoping that’s enough for Santa Paws to visit our house and leave some toys and treats. Mama says he has elves hiding around the house who see all that we do so we’re a bit worried. Our own small tree with the animal ornaments has been up for a few weeks and our big family tree in the foyer went up a week ago. Our big tree is always a live tree that goes in the foyer. Papa picked it out himself this year and we must say he did an excellent job. Not easy to find a perfect 10 footer but we all approved whole heartedly! Mama has some of her mother’s, Auntie Blue’s and her Nannie’s old antique ornaments which hold so much sentimental value. She oohs and awes over each of them as she pulls them out of the carefully wrapped packages and gently places them on the tree. Lisa is home from Ottawa for the holidays and we always wait for her before we put up the tree as it’s one of her favourite parts of the preparation. Mama gets the Christmas tunes blasting through the houses and everyone is so jolly while they decorate. Nicholas and I just lay back and watch the whole thing develop before our eyes. Mama and Papa drag the big tree in and place it in the stand. Then Papa ties it up and he’s the one who puts on the lights and the angel. Mama adds water to the base and then they all start hanging ornaments while sipping hot chocolate, laughing and reminiscing about memories of Christmas past. My favourite story is the one Mama tells of Christmas’ when she was a young girl and her father would get his grandfathers one-horse sleigh out pulled by his big mare, Galley, on Christmas Day. Galley was pitch black with four white socks and a white blaze down her face. 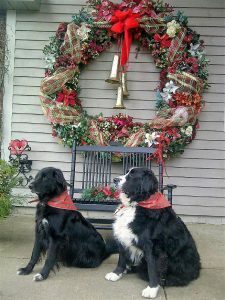 He’d put bells on her harness, the family would get all bundled up and he’d take them for a sleigh ride across the fields. Their little spaniel, Brownie, always love to ride in the back of the sleigh. It was like something out of a Christmas card. Beautiful memories, fondly told! We’re into the last few days now of hustle and bustle. Mama’s been busy at work with folks getting into their new homes this past week just in time for Christmas. Somehow she always manages to get everything done by the big day, she says that’s just what women do. Nicholas and I wish you all a very Merry Christmas and a New Year filled with good health and happiness! All conditions met at 2374 Rothesay Road, SOLD sign went up today! 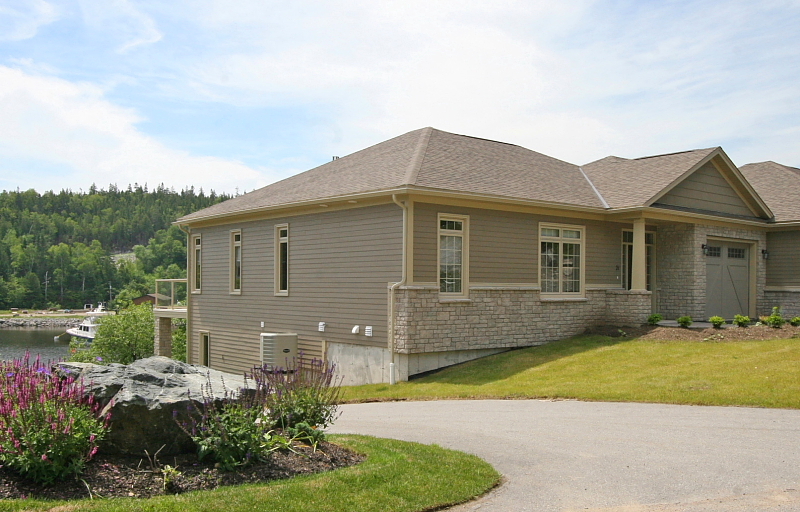 Congratulations to the new out of town buyers on the purchase of a lovely Rothesay home with beach rights! Welcome Home! It’s beginning to look a lot like Christmas at 364 Montague Street, St. Andrews last weekend. 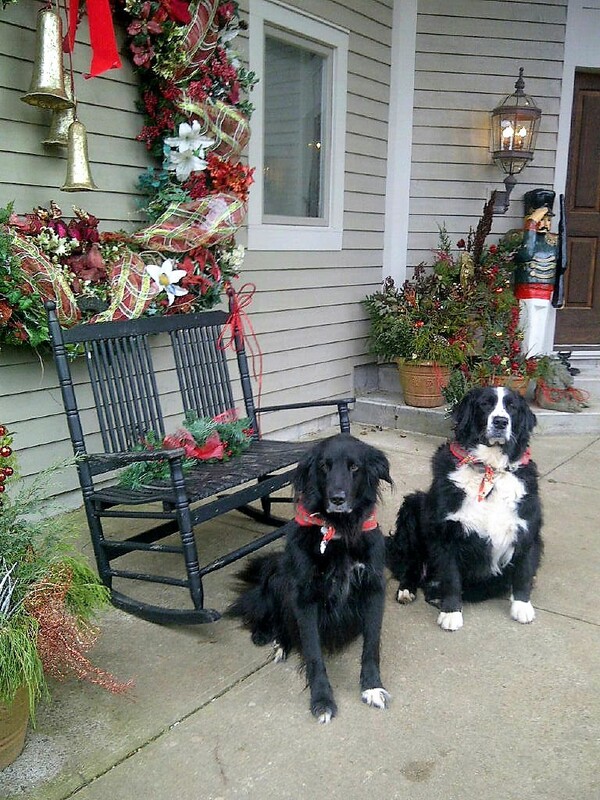 What a gracious home to decorate for the Christmas holidays! 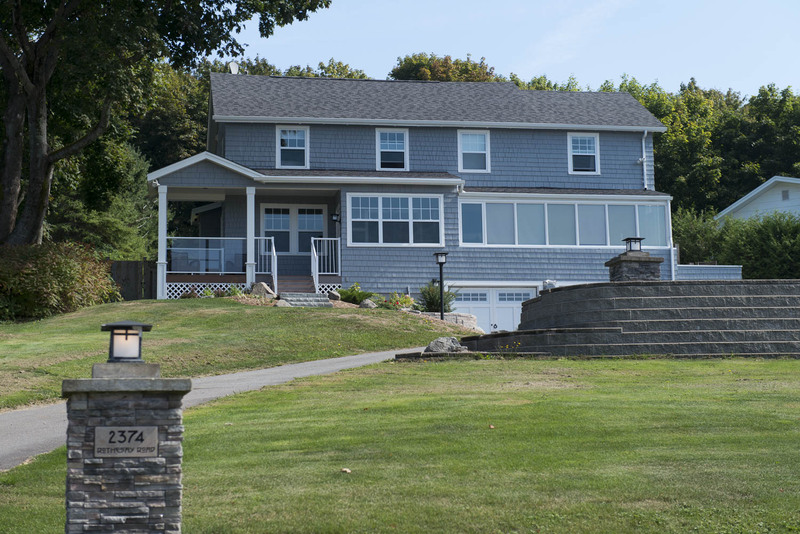 The perfect home for your family in the New Year! Congratulations to Michelle Casey White the winner of our stunning custom pearlized Christmas arrangement from Keirsteads Flower Shop. Thank you for entering our contest Michelle and we wish you a wonderful Christmas with your friends and family! Hope you have a good time getting all prepared for the big day! We have our turkey, a Butterball of course, our favourite! Our dear Lisa arrives home Sunday from Ottawa, we can hardly wait!!! Ho, ho, ho, Santa Paws is coming soon! Happy Holidays! 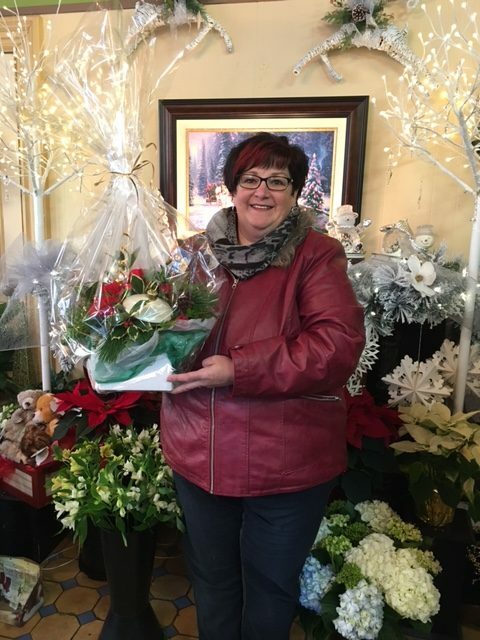 Head over to our Facebook page where I’m giving away a beautiful holiday arrangement from Keirsteads Flower Shop for you, your family, and friends to enjoy! Spreading holiday spirit is my favourite activity this time of year and Nicholas and I want to share the joy. 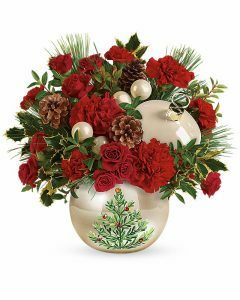 With it’s pearlized glaze, vintage tree artwork and shimmering rhinestone accents, this elegant ornament jar adds Christmas glamour to a hand-arranged classic bouquet of red roses and holly! To enter, simply follow us on Facebook @ ‘Katherine Bacon Real Estate, like the post and share! Enter before December 15th and Nicholas and I will help pick a random winner! … so share the post with friends to spread the spirit of giving! 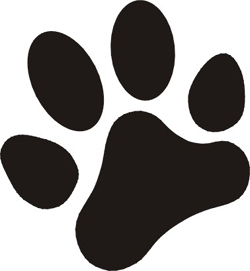 Paws crossed! Another busy week meeting conditions with two closings coming up before next Friday! 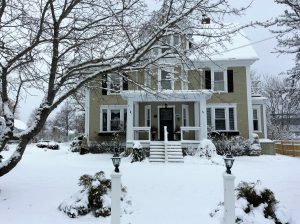 Sales are always brisk this time of year with buyers wanting to be into their new homes before Christmas! Mama says you can always spot them as they tour the prospective home and say “the tree would look great right there in that corner. I can just see it”! Speaking of Christmas, it’s just around the corner so Nicholas and I have been busy helping Mama decorate the outside of our house in preparation for the big day! Christmas has always been a special time of year for my family as growing up my mother, aunts and grandmother always did extensive Christmas decorating inside and out! First we travel around the yard while she gathers sprigs from our shrubs to arrange in a dozen big pots at the front entrance, the pond and in front of our garage plus the window box. We gather scotch & white pine, hemlock, rhododendrons, junipers, Alberta & blue spruce, cedar and Mama’s favourites false cypress and holly. Add to this some large pine cones, glittering red, gold and silver Christmas sprigs and there you have it! If you enjoy gardening and flower arranging, it’s a lot of fun, cost efficient and beautiful. We enjoy running around the yard catching the odd ball and playing tug of war while she gathers the greens. When this is finished it’s time to start the big wreath. That’s a job and a half and also when Papa gets involved. This wreath is changed seasonally. Its mounted on a steel frame that was made for the wall outside our front door to be in scale with the 18 foot ceiling over the entrance (Mama, ever the decorator, everything has to be in scale!). Nicholas and I watch as the two of them go up and down, up and down the ladder adding ribbon, poinsettias, holly, pine cones, candy cane coloured ribbon and three large bells ! I’ll tell you it’s a lot of work and Nicholas and I were pooped when it was finished. We went in the house and slept for hours! I don’t know how Mama gets it all done working the hours she does and then popping out in the yard Saturday mornings and at night working under the lights to get these done too. We can tell she really loves doing this, keeping her finger in the decorating as we hear her humming along while she works. Here we are below posing with some of the finished product. Note that we are sporting our new reversible Christmas scarves hand-made for us by our dear Auntie Blue! 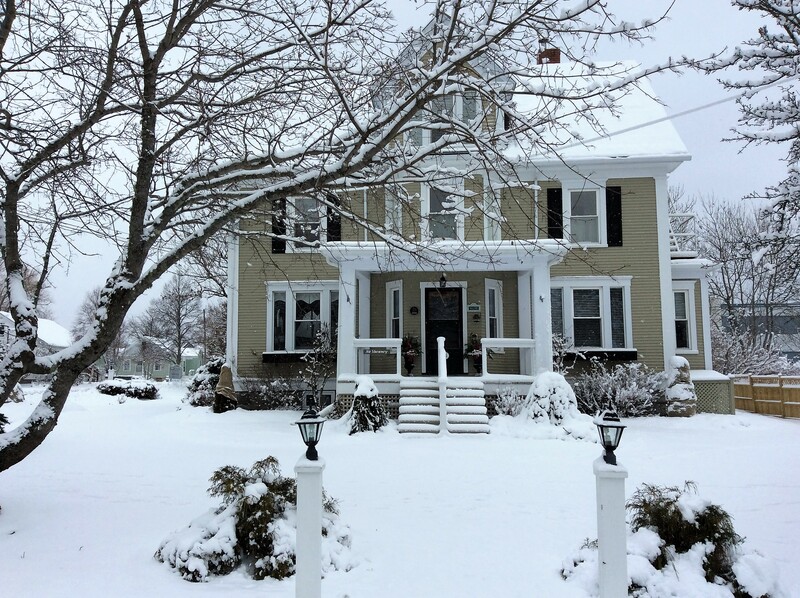 Our last open houses of 2017 are coming up this Sunday! 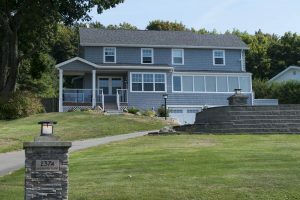 From 1pm-2:30 Mama is at 21 Upper Deck Lane, Drury Cove, our spacious waterfront condominium overlooking Drury Cove on the Kennebecasis River. 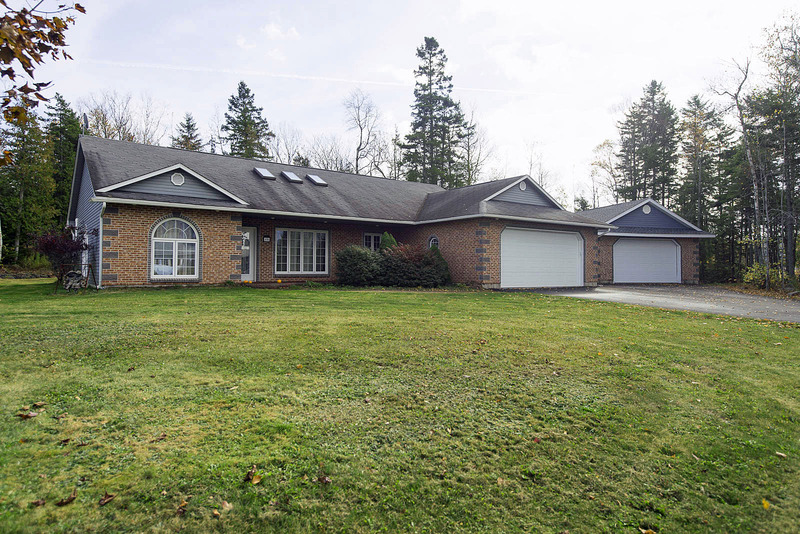 Then from 3pm-4:30pm she’s at 26 Squire Drive off the Gondola Point arterial at a lovely ranch-style home with in-floor heating on 1 full acre with rare 4-car garage! Within walking distance to the Q-Plex! As you’re out and about doing your last minute shopping watch for me in my red SUV and be sure to come over and say hello, Merry Christmas, Joyous Noel, Happy Holidays!